Former BAe test pilot Dave Eagles has flown some of the greatest aircraft in history. 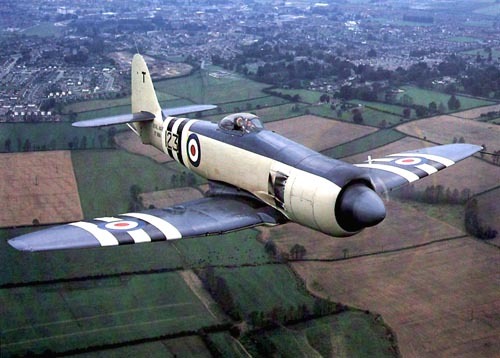 Here he reveals what it was like to fly the ultimate piston-engined fighter, the Hawker Sea Fury. If you love aeroplanes and want to support this blog… donate here. You can make a big difference! 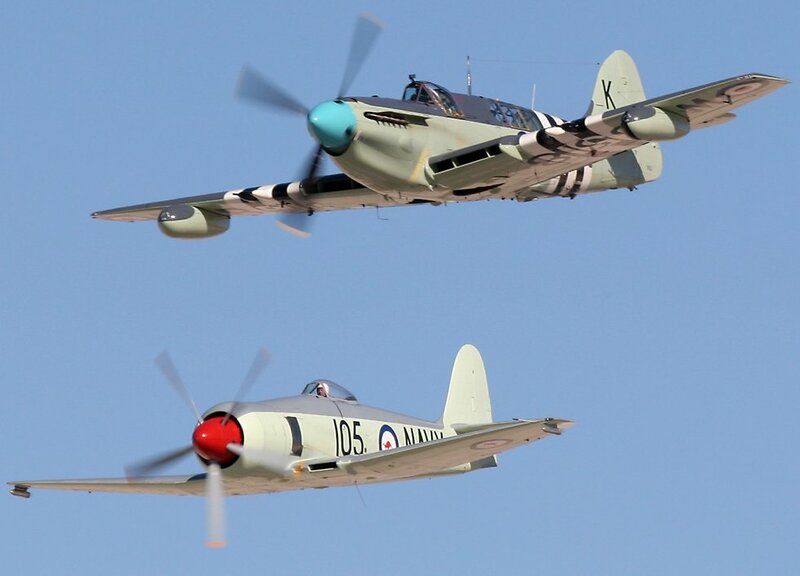 “I flew the Sea Fury in 1956 after having had 6 months or so on a Firefly Squadron and my impressions therefore were inevitably based on a comparison of the two. 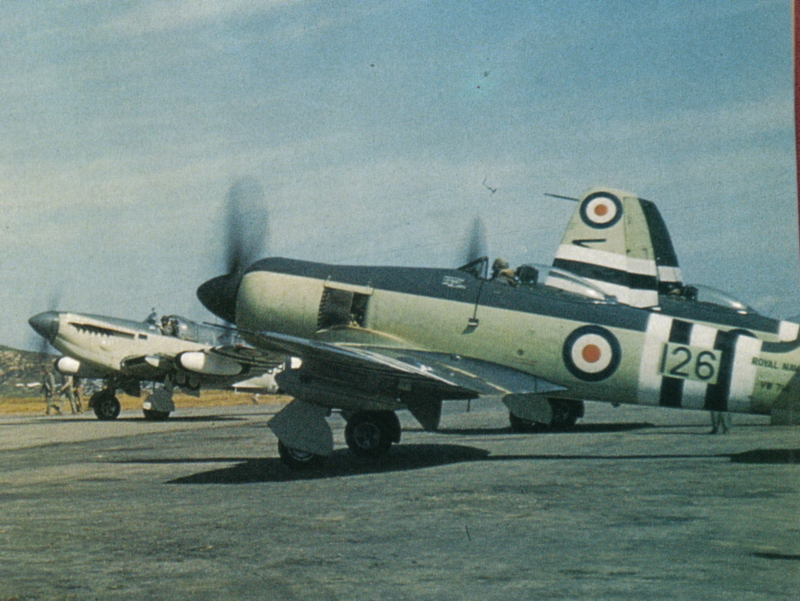 The Sea Fury was much more lively than the clunky old Firefly. It was lighter in pitch and roll and more responsive to power changes. It had spring-tab ailerons so as speed built up its roll stick forces remained reasonably light up to close to its limiting indicated air speed (400 – 450 kts IAS) . The spring tab aileron was so designed that when stick forces built above a certain level, a torque tube was allowed to twist and further stick movement activated the aileron tab which gave help in moving the ailerons. It had an automatic prop pitch control so that you could pull the pitch control lever into an auto position and thereafter the pitch angle would automatically reduce to the maximum permitted for the amount of boost (manifold pressure) that the throttle was demanding. This was really only useful in the cruise but was useful nevertheless. It meant that you could control the engine with just the throttle lever, like a jet, and when you got the RPM back to minimum the noise level with the Centaurus was very low. So it got top marks for agility. It was certainly not unforgiving. It was very spin resistant–you could throw it about at low speed as in one to one fighting without fear of departing. We had a formation aerobatic team and found it very well behaved in close formation. And unlike the Spitfire, which I flew several years later, it was very easy to control on the ground. You could use full throttle on take off and easily control the swing, due to its wide landing gear, lockable tail wheel and effective rudder. We did vic take-offs on a normal width runway at close to full power with firm directional control. The Spitfire — much lighter of course– has a wopping tendency to swing and needs care with the rate of throttle opening, at least when getting familiar with it. December 7, 2014 - 2:36 am James W.
Hawker’s best performing Fury used the more powerful ( but smaller & less bulky) Napier Sabre mill..